This week there are a number of astrological events to comment on, and significant of them is the opposition of the Sun and Saturn on Sunday, March 21, 2010. What this means is that the Earth comes to it’s greatest midpoint between the Sun and Saturn; we’re “caught in the middle”, as it were. 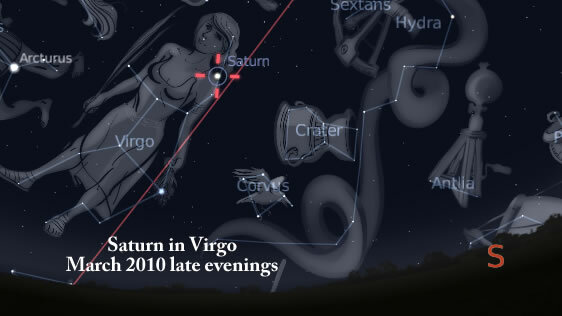 Saturn should be highest in the sky around midnight, and at it’s brightest. Saturn of course is never a bright star in the sky, it has a cold, dim tone to it. It doesn’t seem to inspire enthusiasm in looking at it, but maybe sober realism. As you can see in this image above I created in Stellarium, a free open source program, this is how Saturn will look at around midnight in the sky if you look to the southeast about one-third to one-half the way up (and of course, barring any clouds). Virgo is the great feminine figure in the sky, connected of course to the word virgin, or Virgin Mary if you will. I’ve commented in the past how a lot of Hollywood starlets have Virgo prominent in their charts (sidereally). Therefore Sunday this week should be a high point for low points in consciousness potentially. As I always say though, the problem is not in Saturn, it’s in us and Saturn merely draws it out for us to see and do something about it. Saturn has that thankless task of mirroring our various pathologies; however in hindsight he always gets his due. However this weekend will coincide also with the US House of Representatives vote on the health care reform bill, possibly invoking the “Slaughter Rule” (deem and pass) as an end-run around he Constitution. So it is possible some out and out very bad things can happen under Saturn’s influence. Saturn represents control, even by forcing things through a legislative body. 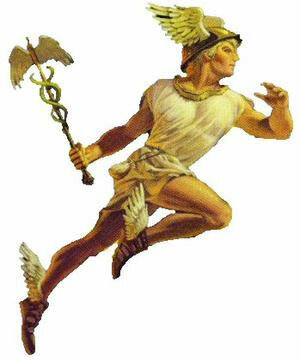 Interestingly Saturn is in Virgo, a very health-oriented sign. This weekend also is the Vernal Equinox on Saturday, March 20, or the first day of spring in the Northern Hemisphere. On this day, both the day and night are of equal length but the days are becoming longer and longer. The days getting longer culminates on the Summer Solstice in June, when they start getting shorter again.